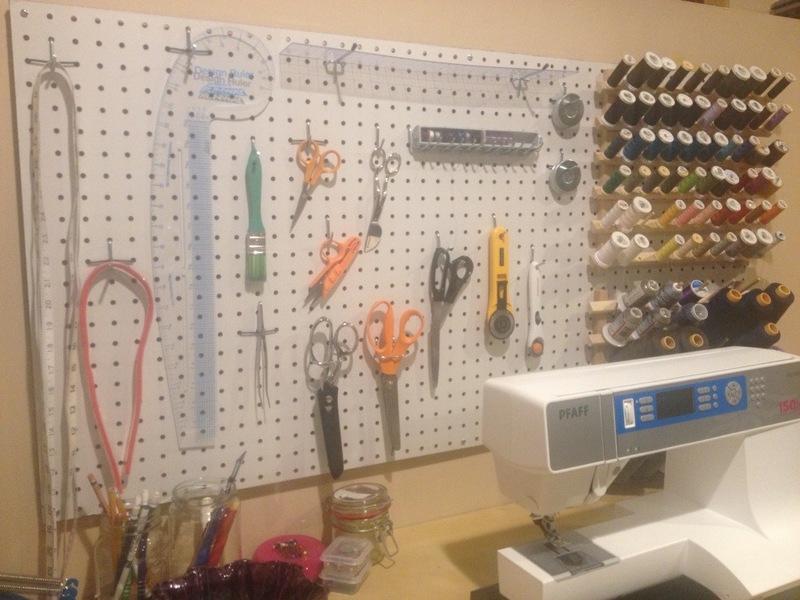 I’ve had the pegboard and accessories sitting in the garage for months. Little did I know how easy it would be to install…. The organization is a work-in-progress, so I’ll be adjusting as I sew this fall, but so far: I’m thrilled!